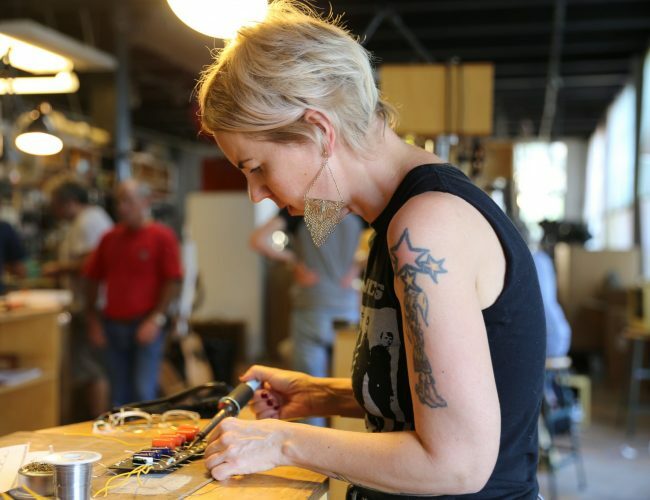 This three day course offers a unique hands on immersive making and learning experience. 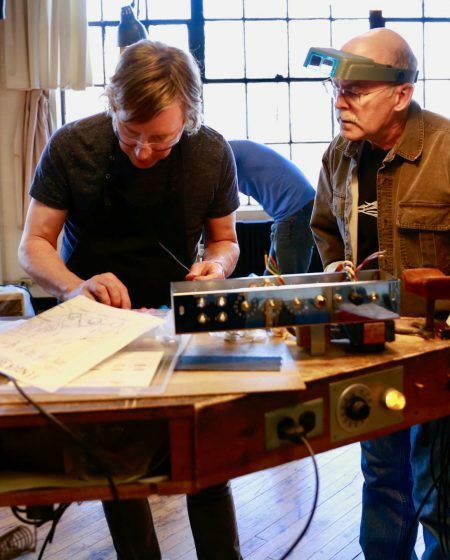 The class combines a tube amp electronics construction workshop with a tube amp repair seminar. 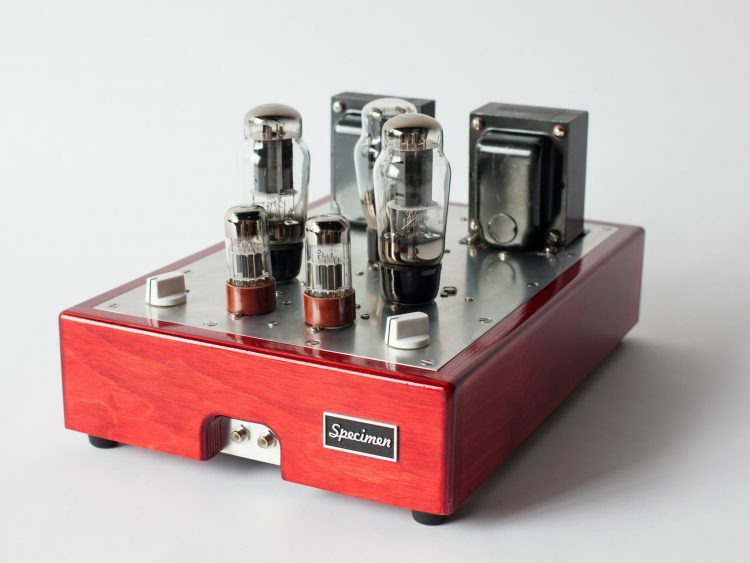 Student will enjoy bringing home their own hand wired tube amplifier with the knowledge and confidence to service it. No prior shop or electronics experience is necessary. 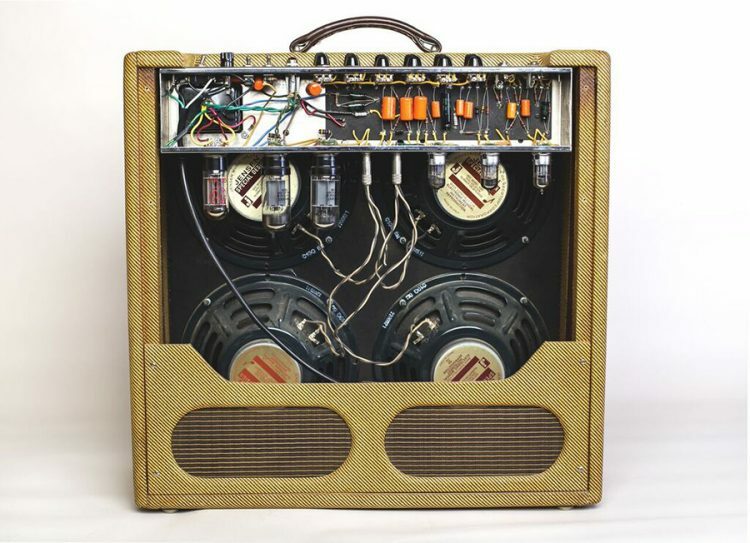 Students will make either a Tweed Guitar Tube amp, or a Hi-Fi Stereo Tube Amplifier in the Tube Amp Making Workshop. 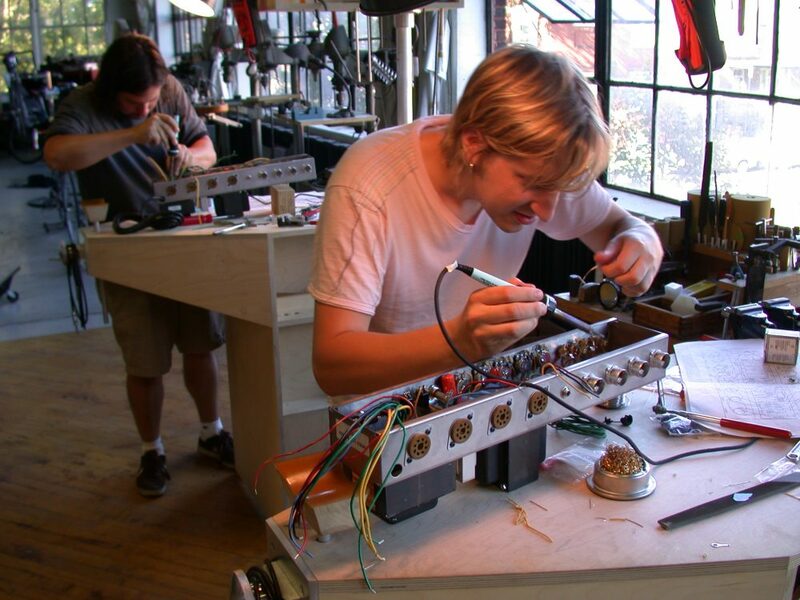 By constructing an tube amplifier, students will begin to develop the skills necessary to troubleshoot and repair amplifiers. 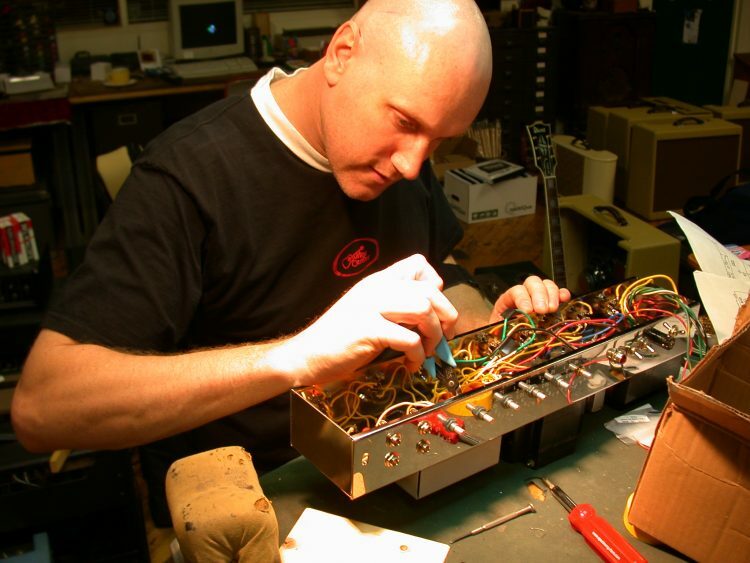 They will follow the Tube Amp Making course with the Tube Amp Repair 1 seminar. Tuition fee includes instruction and reference materials, the use of a dedicated workbench with specialized tools and project guidance. All the shop supplies necessary to complete the project are included. Kit cost is according to kit choice, includes special tube upgrades, shipping and taxes, and is an additional charge. 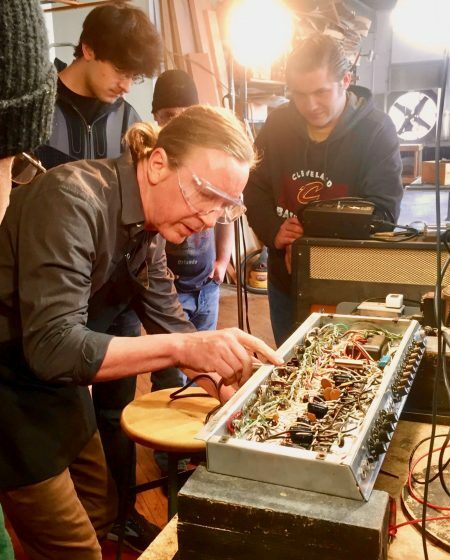 Students will observe the stages of the building and wiring process and then carry out the work on their own amps under the supervision of the instructor. 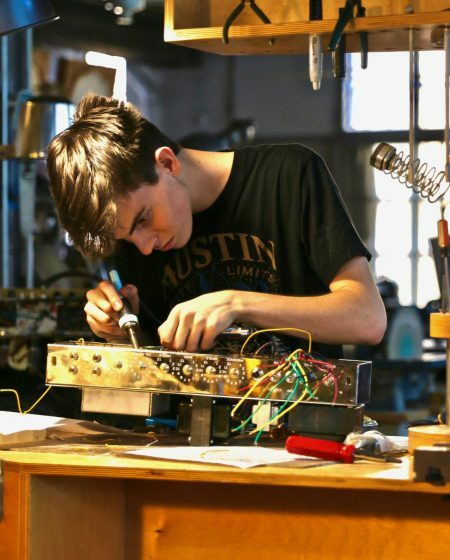 Students will obtain a foundational understanding of the way a vintage tube instrument amplifier functions, stage by stage, and learn the craft of point-to-point wiring and how to modify a circuit to shape its tone by changing component values. 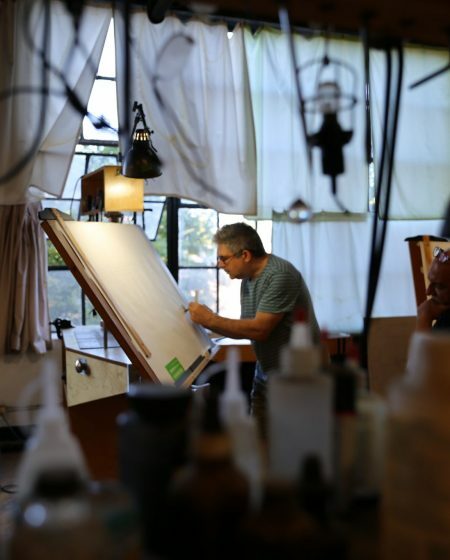 Lecture, demonstrations and Q & A. Options for the scope of repairs are disclosed and an emergency repair kit of tools is recommended.